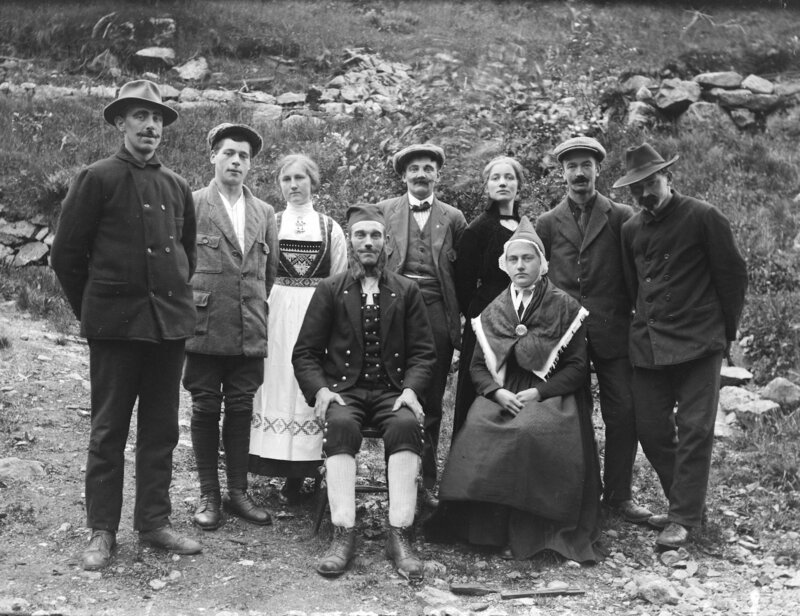 Nils Olsson Reppen (1856-1925) was born on the farm Reppen in Sogndal, Norway. 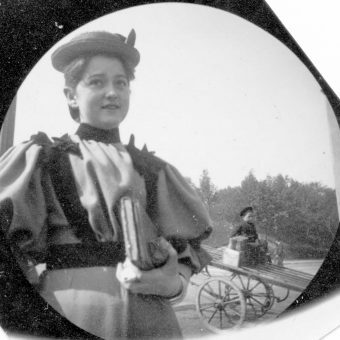 In 1882 he immigrated to the US and started a career as a photographer in Browns Valley, Minnesota. 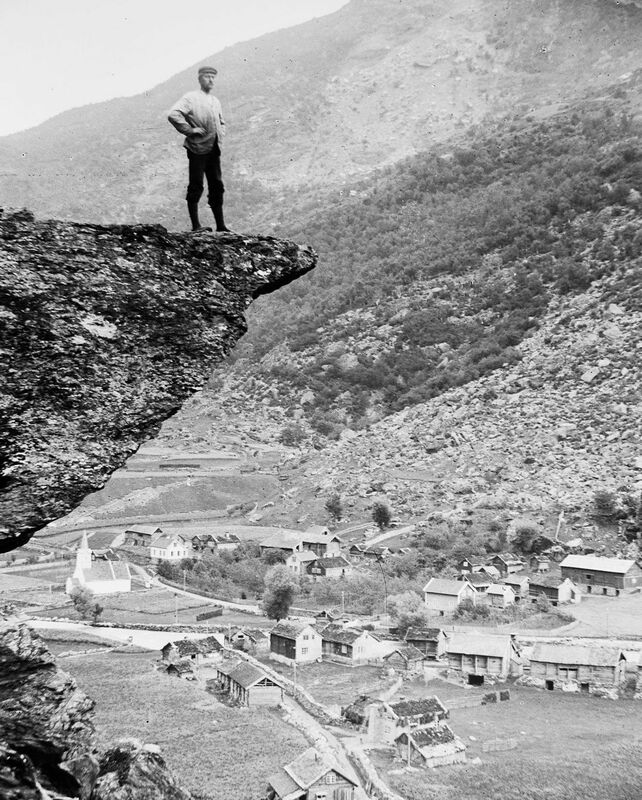 He returned to Norway and set up business as a photographer in Sogndal in the 1890s. 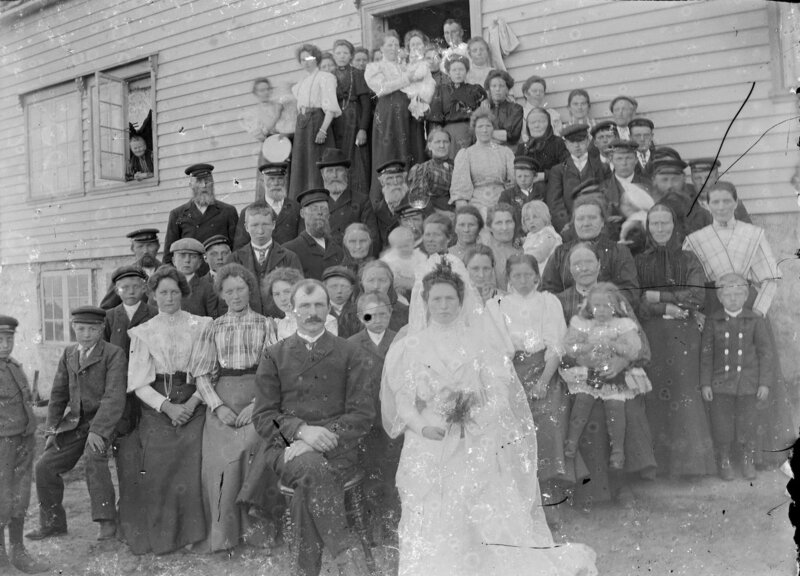 The majority of Reppen’s negatives were lost in a fire in 1965, and only 388 glass plate negatives remain today. 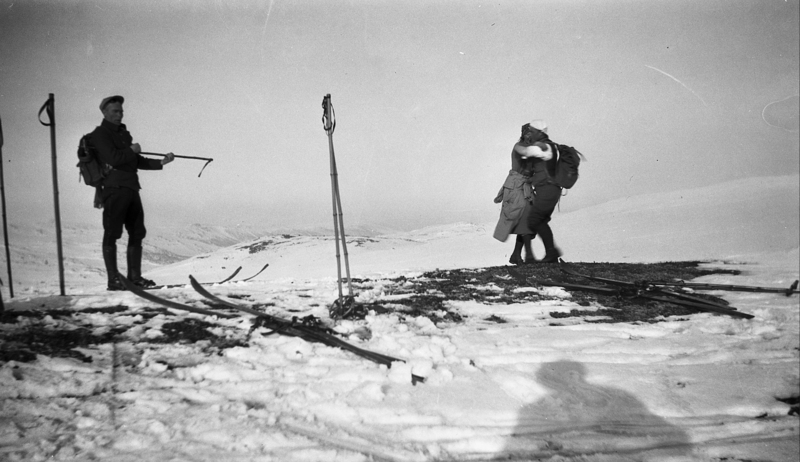 Engineer Kristian Berge (1887-1965) worked at Statens Havnevesen (The Norwegian port authorities) for 43 years. 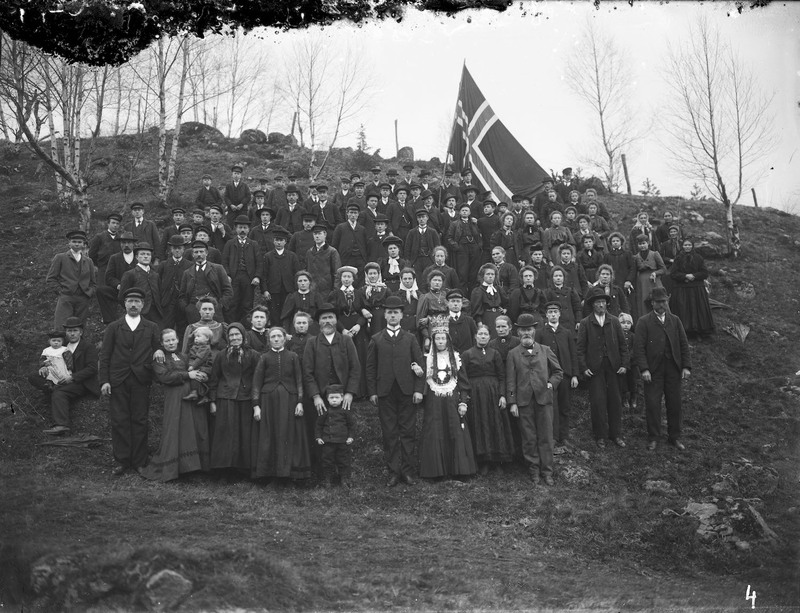 He lived in Oslo but was born and grew up in the municipality of Stryn in Sogn og Fjordane county. 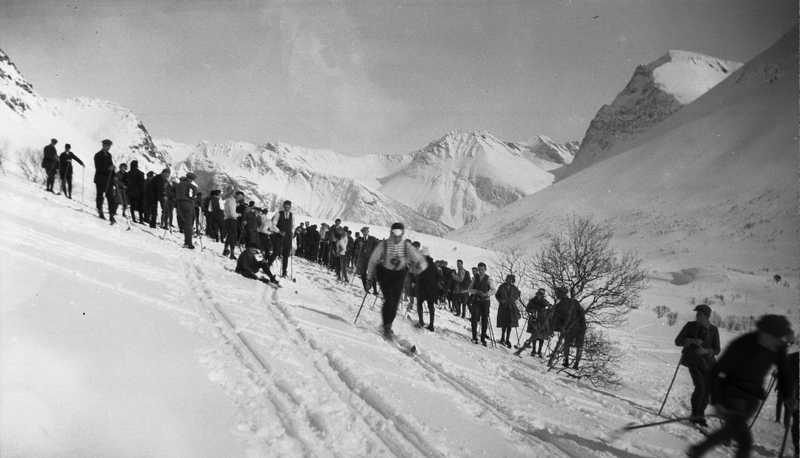 Knut Aaning was born in Stryn 23rd of April 1880. 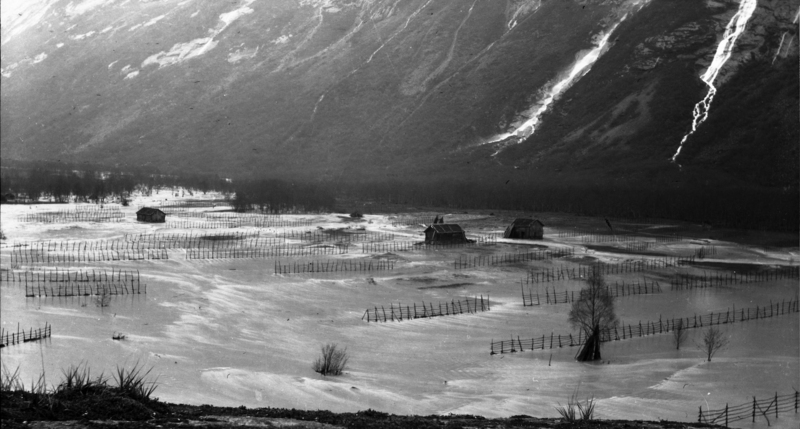 He trained as a photographer in Bergen and then returned to Stryn to work as a photographer in the Oppstryn area. 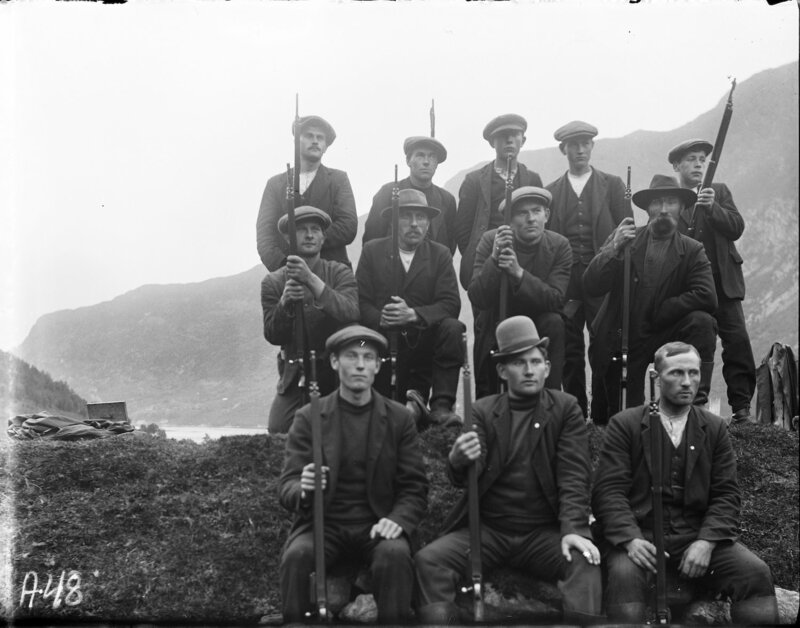 Anders Folkestadås (1865-1914), a foreman in the Norwegian lighthouse service, was involved in the construction of several lighthouses along the coast of Norway. 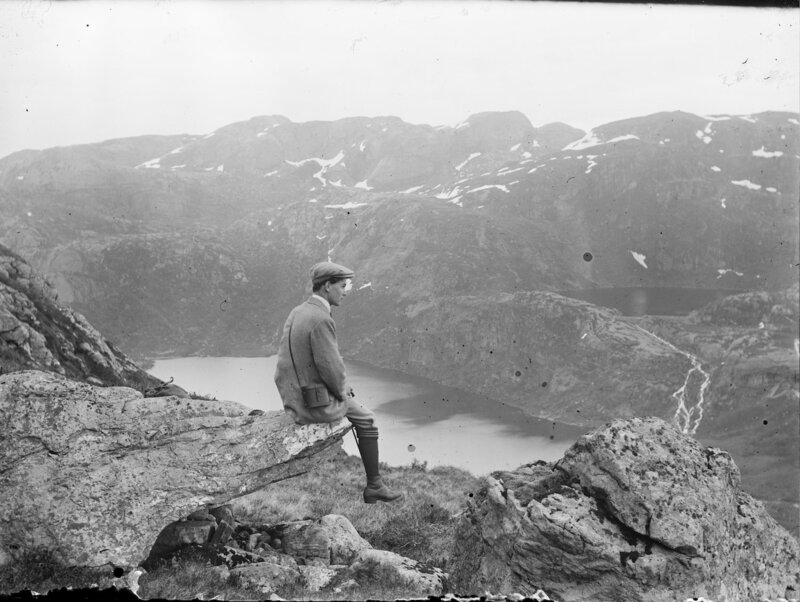 In 1906 for instance he led the construction of Kråkenes lighthouse in Sogn og Fjorane, and later in 1910 he worked at Sklinna lighthouse in Nord-Trøndelag. 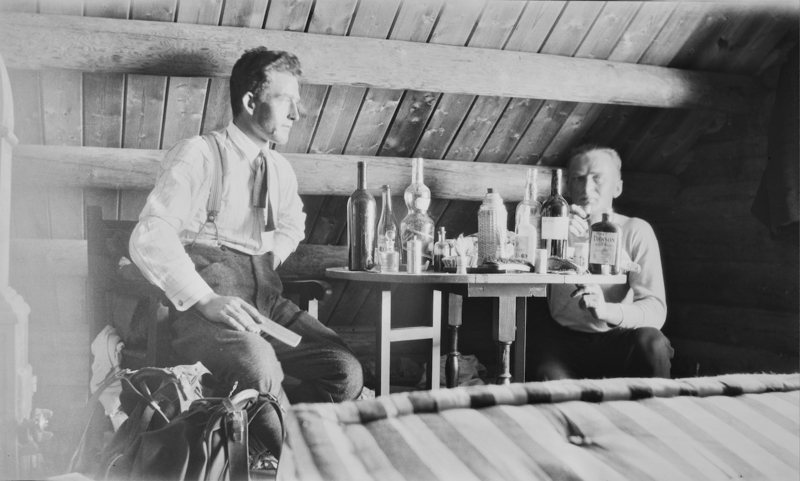 Paul Stang (1888-1923) was a self-taught photographer who, camera in hand, documented the establishment of aluminium production in the small village of Stongfjorden, Norway. 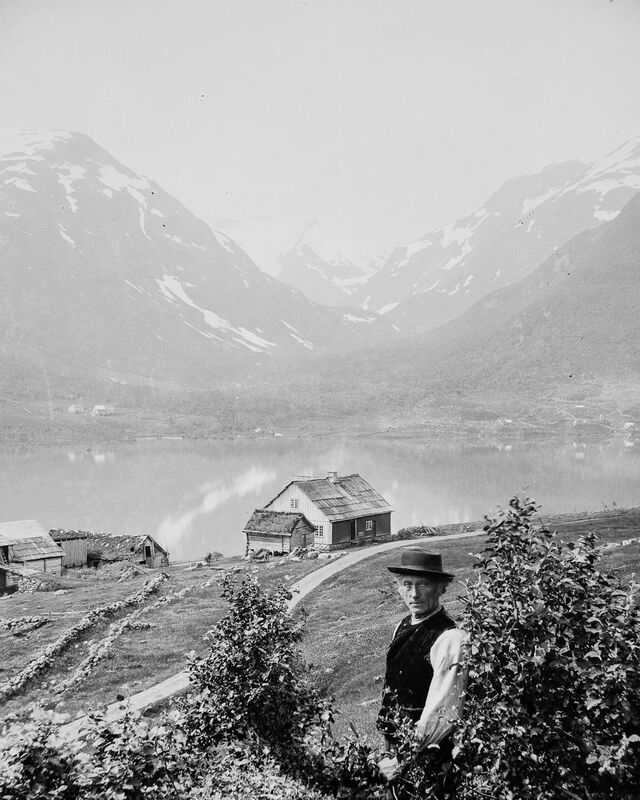 Paul was fond of nature and disliked the development of industry in Stongfjorden. 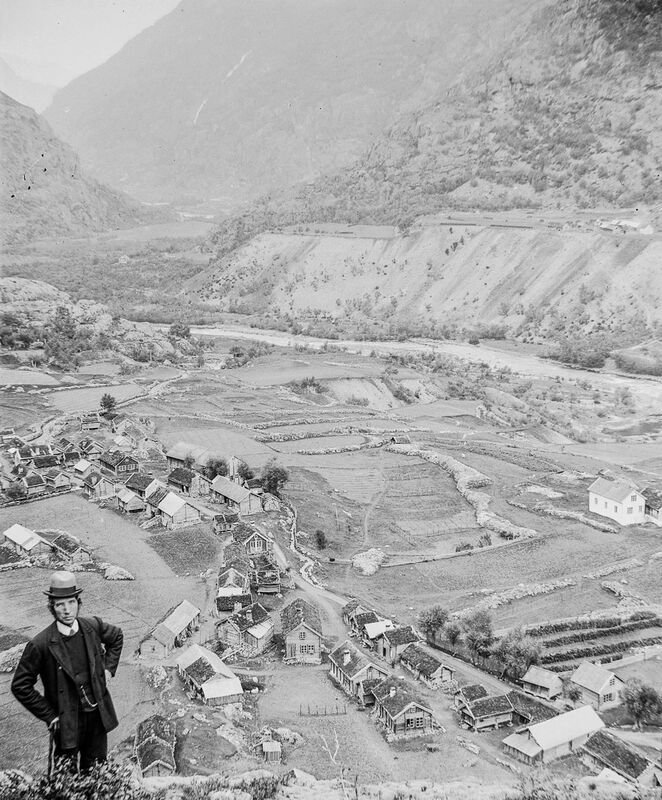 Even so he, like many others in Stongfjorden, found work at the aluminium factory – A/S Stangfjorden Elektrokemiske Fabriker. 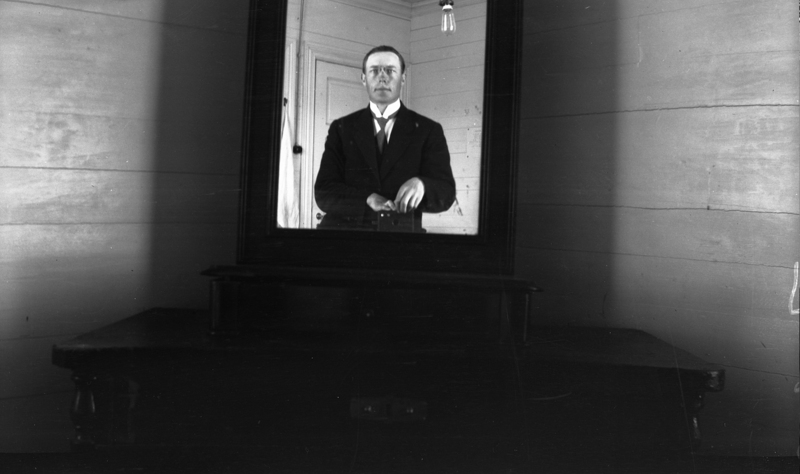 Skinneslok seter, 1921. 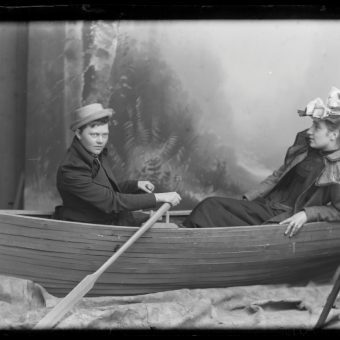 Photographer: Kristian Berge. 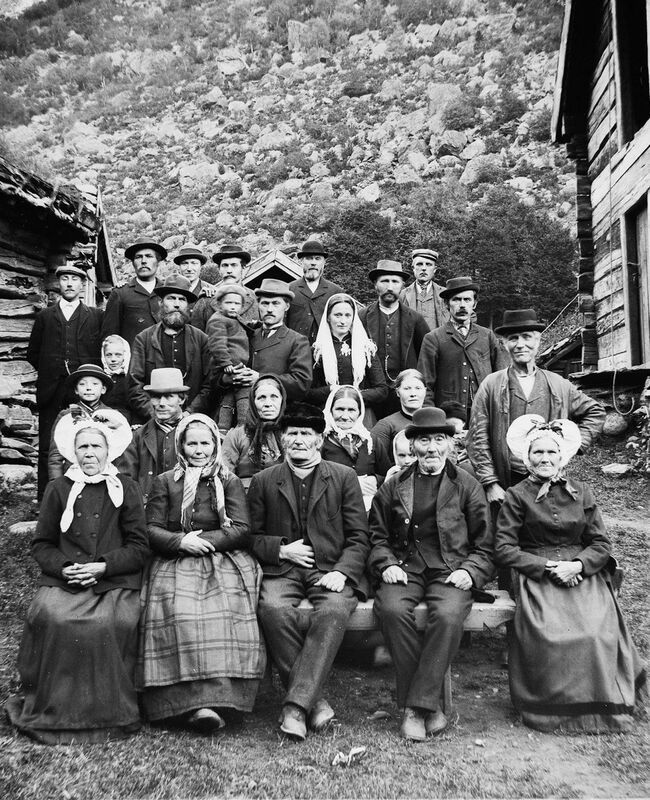 Group portrait of the amateur actors performing in the play “Elskhug og giftarmål”. 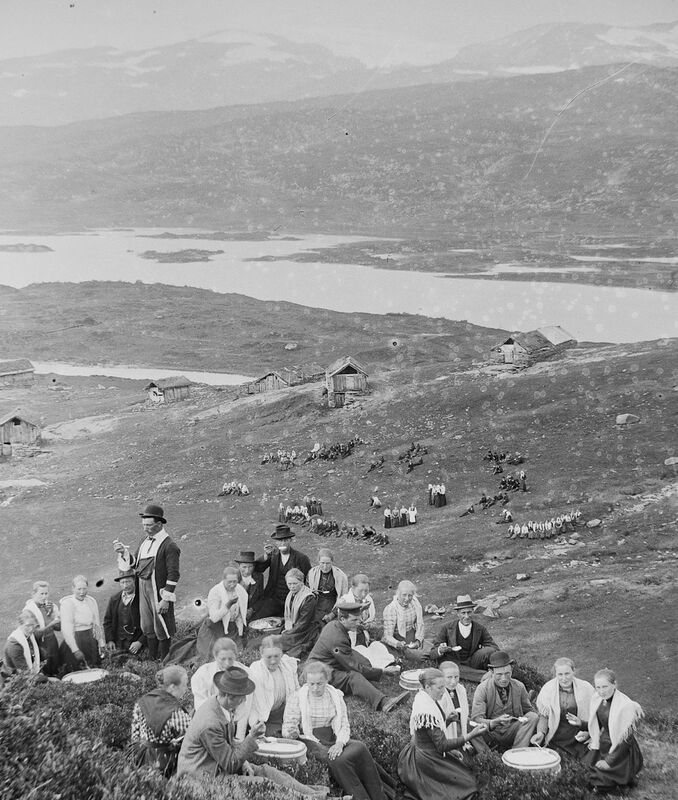 A group of people playing the game “slå på ring”. 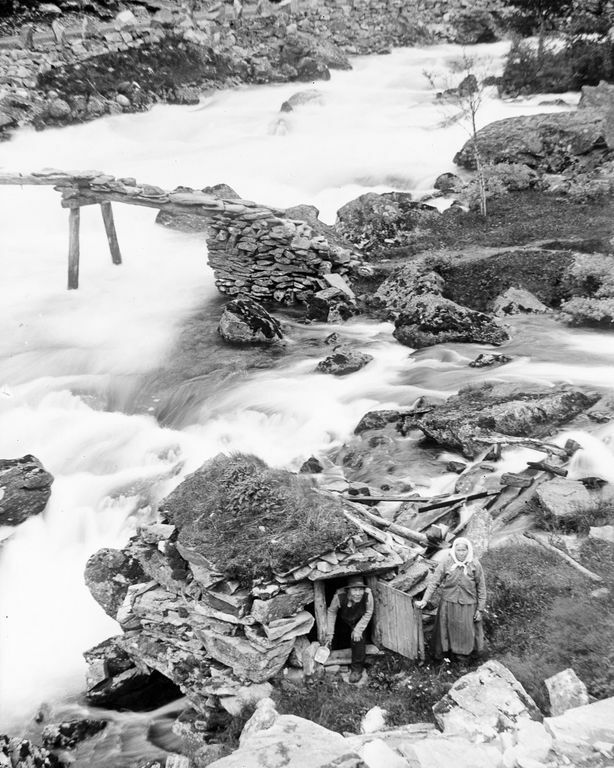 From the 1913 floods in Erdalen, Stryn. 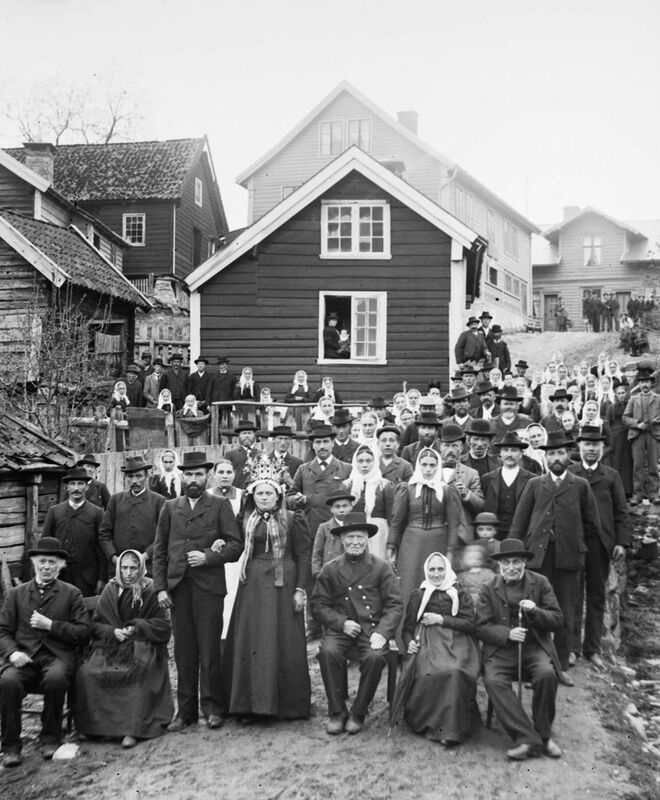 Vågane whaling station, ca. 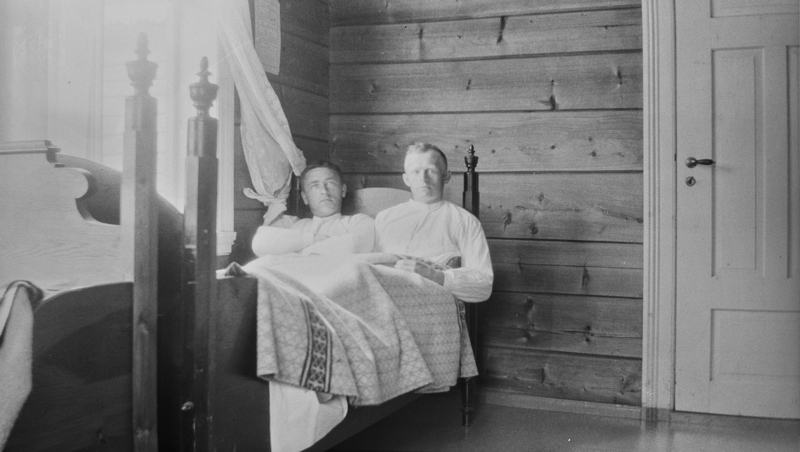 1918-1920. 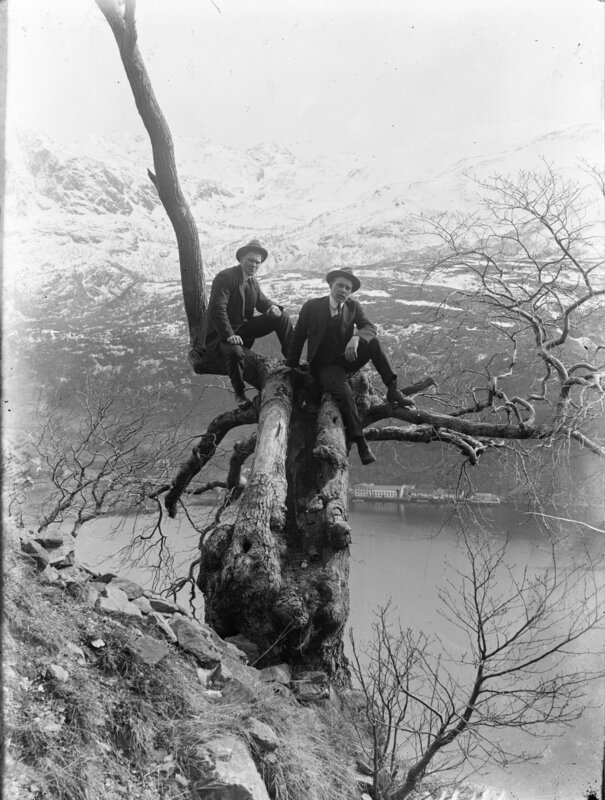 Original caption (from Berge’s negative album): Vågane Hvalstasjon. 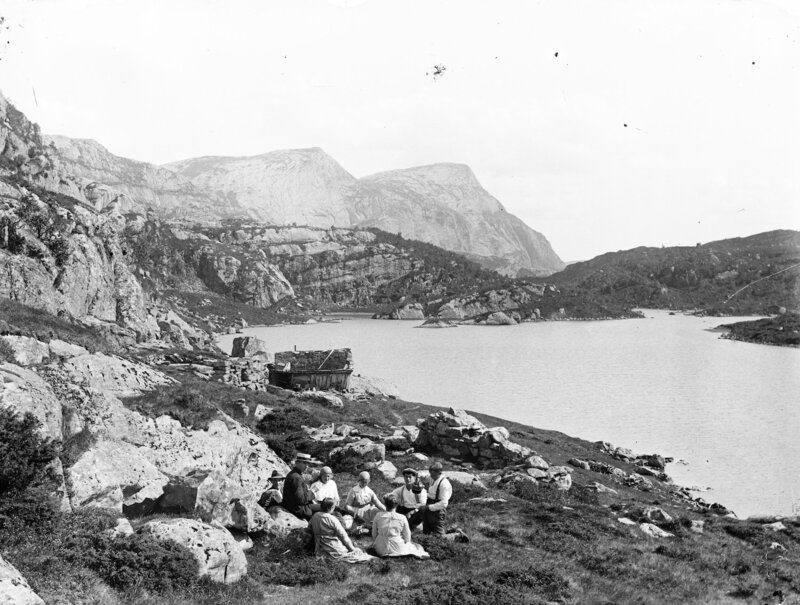 Vågane is situated to the northeast of Smørhamn in Bremanger. 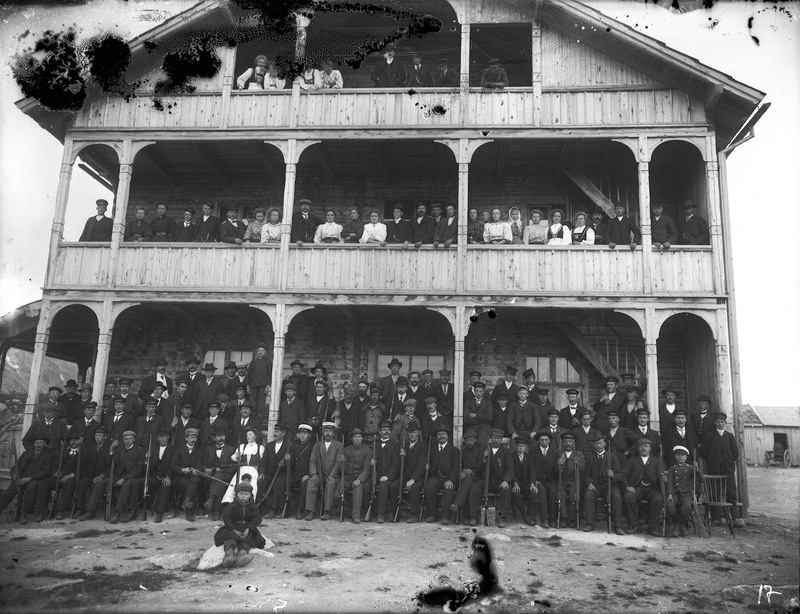 In 1917 the Norwegian State initiated the building of a whaling station named “Den Norske Stats Kvalstasjon” at this location. 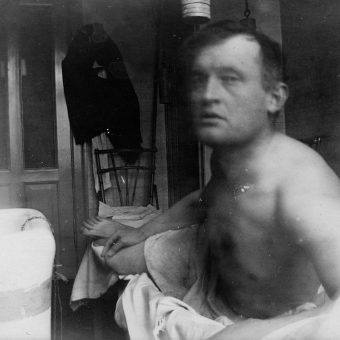 The station was bulit due to the lack of fat during WWI. 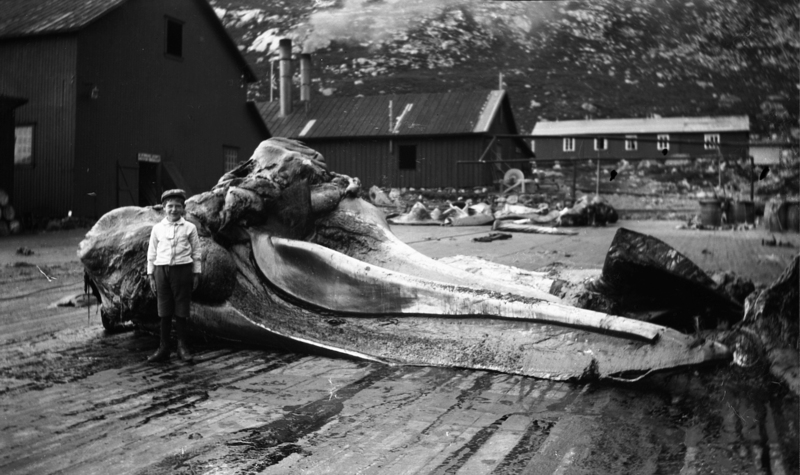 The whaling station produced cooking fat and oil, and later also bone meal. 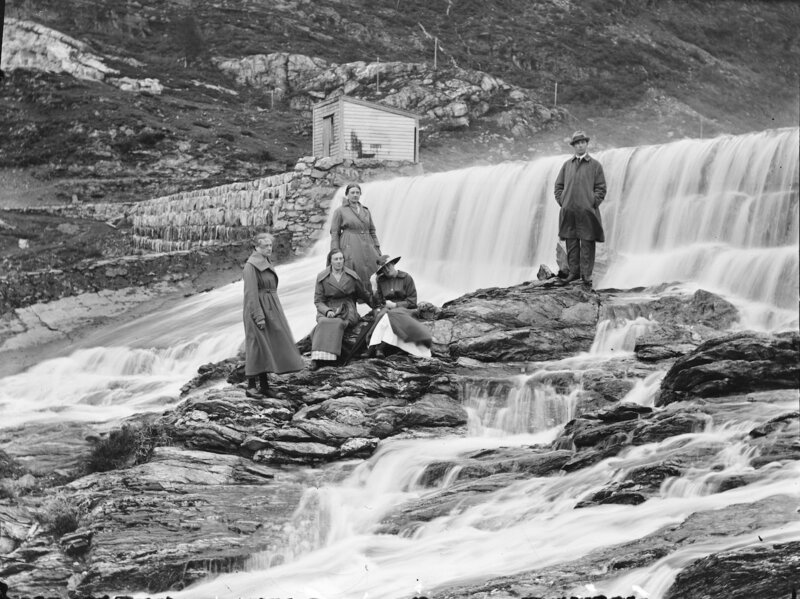 Three experts from the county of Vestfold were in charge of running the station. 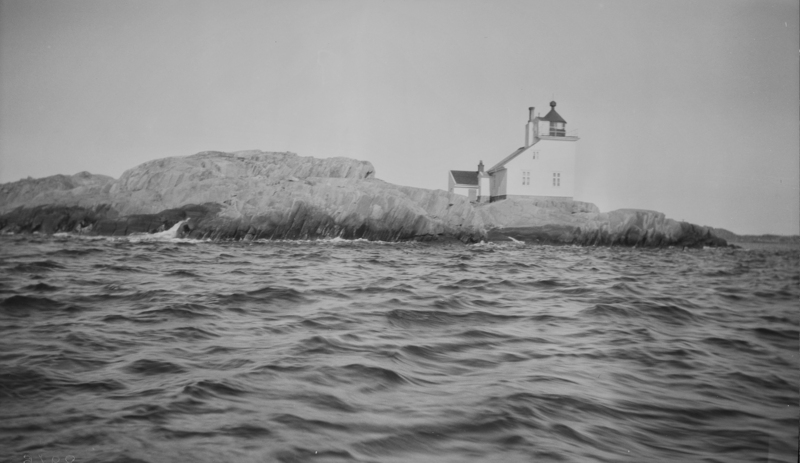 The station had three boats and captured about 180 whales per year. 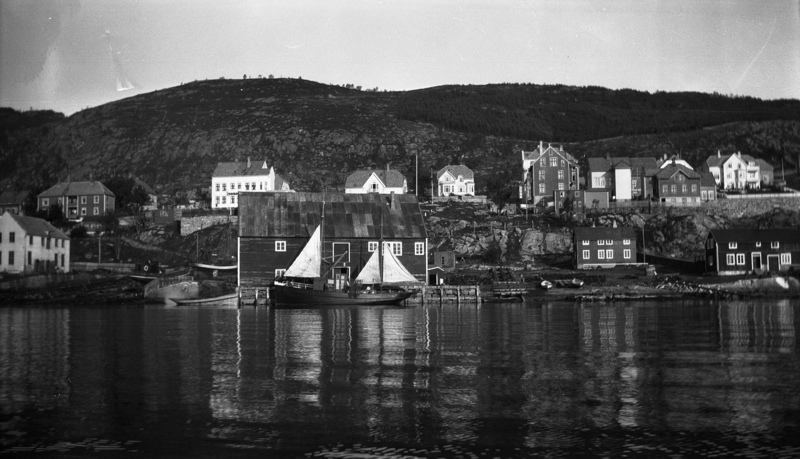 The whaling station in Vågane was closed down in 1920. 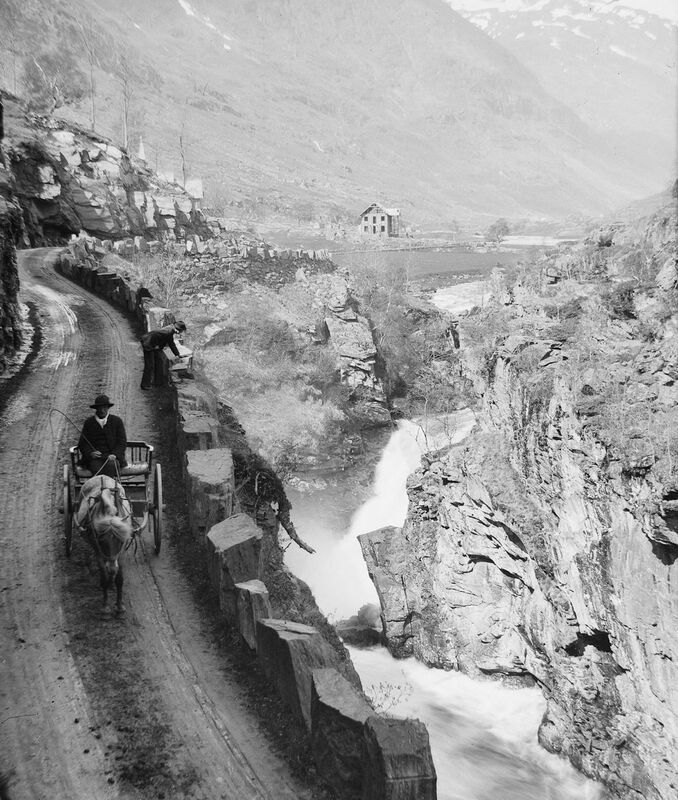 At Dønfoss coaching inn, ca. 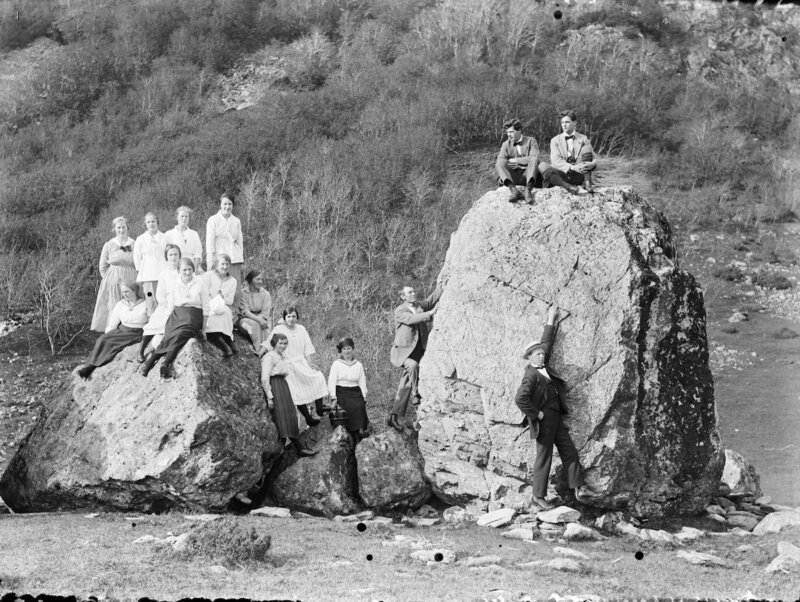 1918-1920. 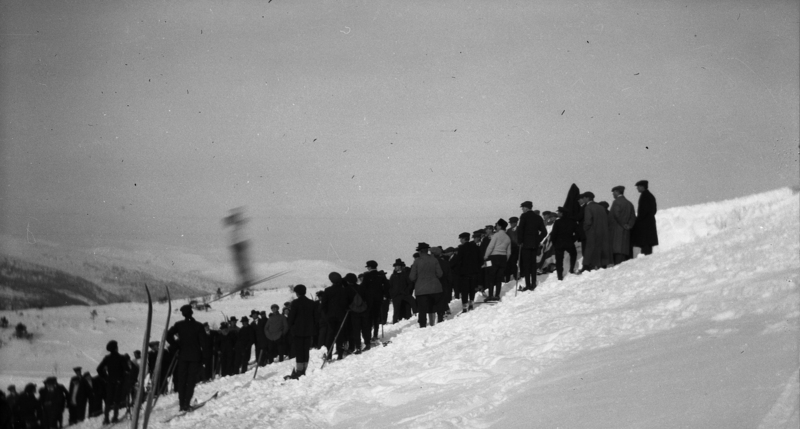 Dancing in the snow, 1923. 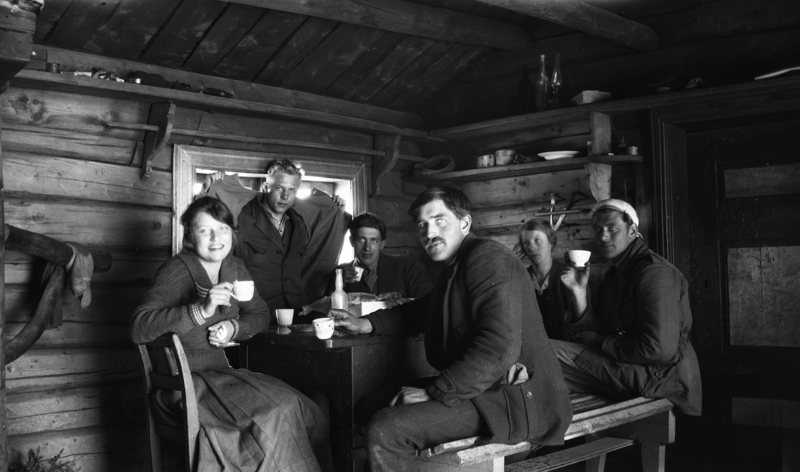 Having a drink at Demmevasshytta cabin by the Hardangerjøkulen glacier, 1923. 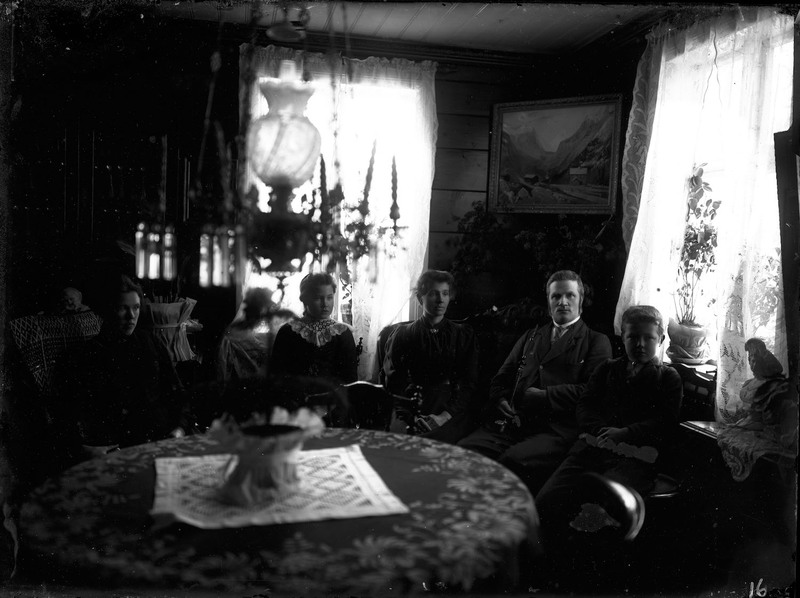 The bride and groom are probably Marie Roaldsand and Lars Folkestad. 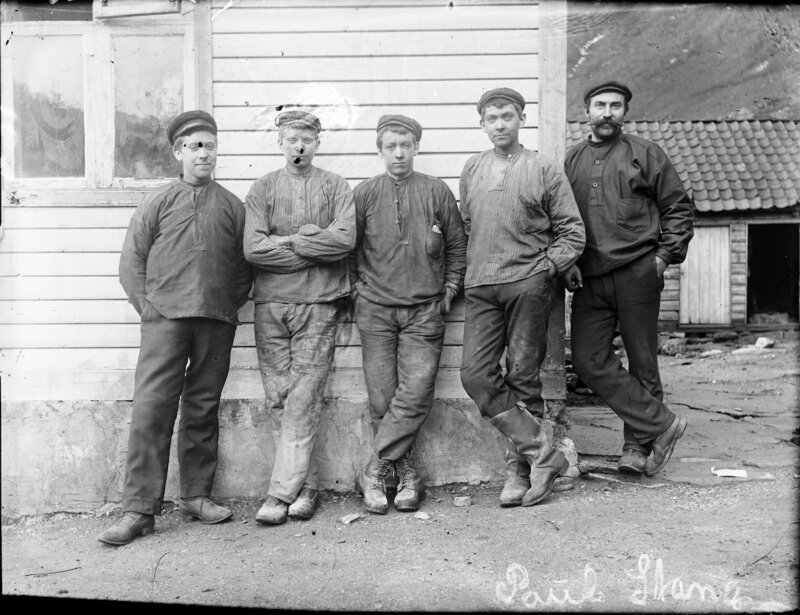 Five of the first shift workers at the aluminium factory in Stongfjorden in 1908. 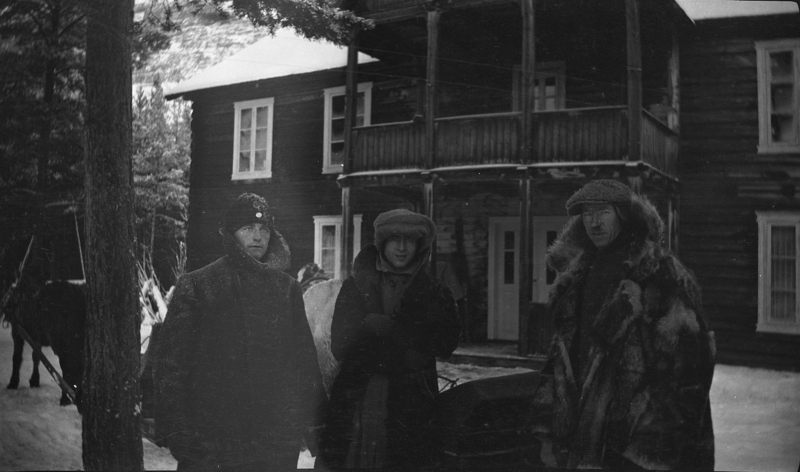 From the left: Konrad Yndestad, A. Skrede, Laurits Yndestad and the Swedish blacksmith Johan Viktor Kilberg. 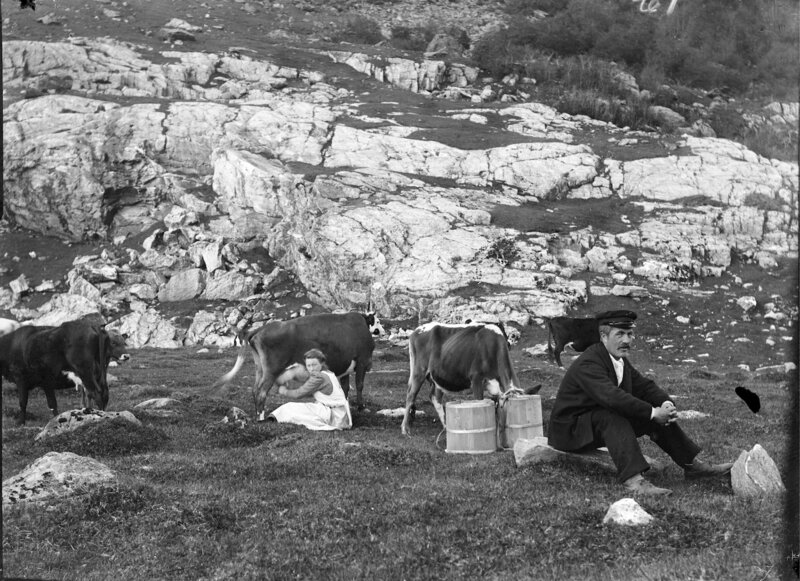 The cows are being milked at one of the farms in Stongfjorden. 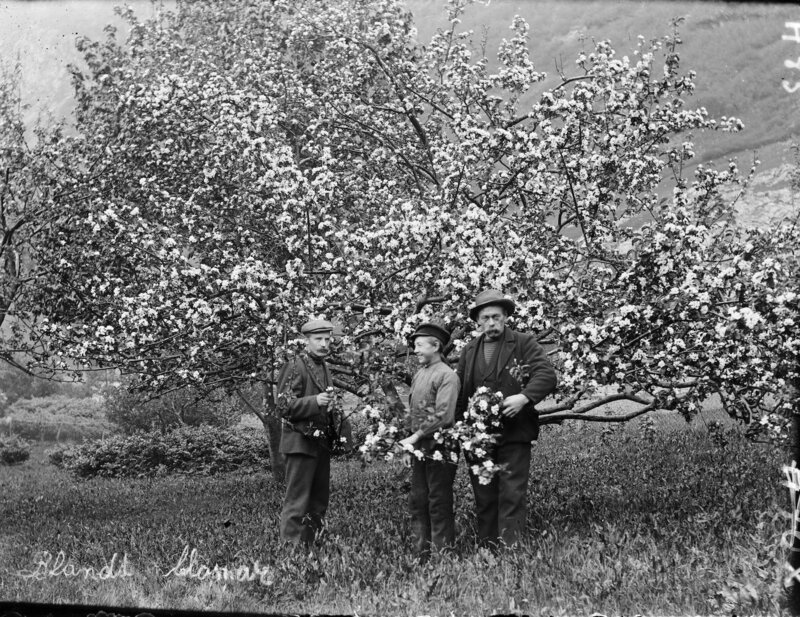 Two men and the boy Anton Stang in an orchard. 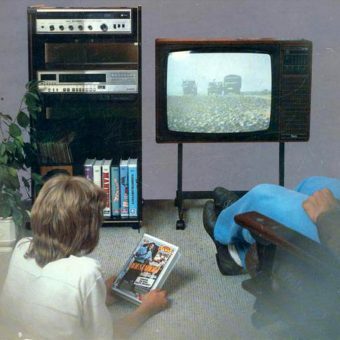 Original caption: “Blandt blomar”. 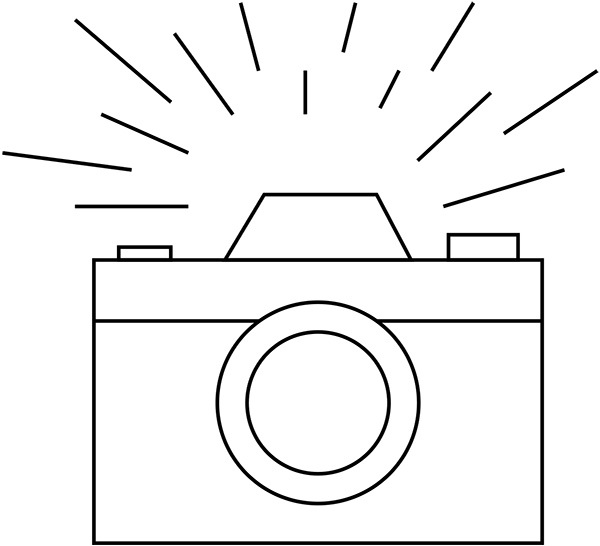 (Among flowers). 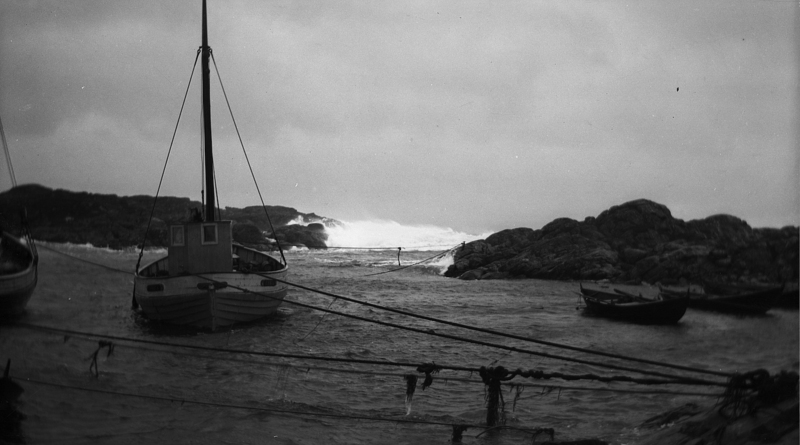 Ålesund harbour, 1922. 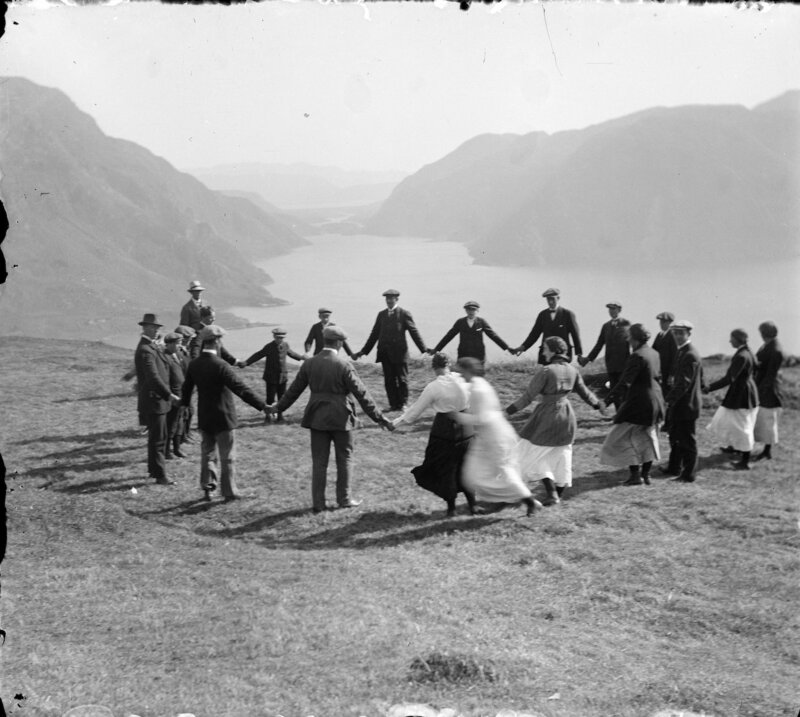 Photographer: Kristian Berge. 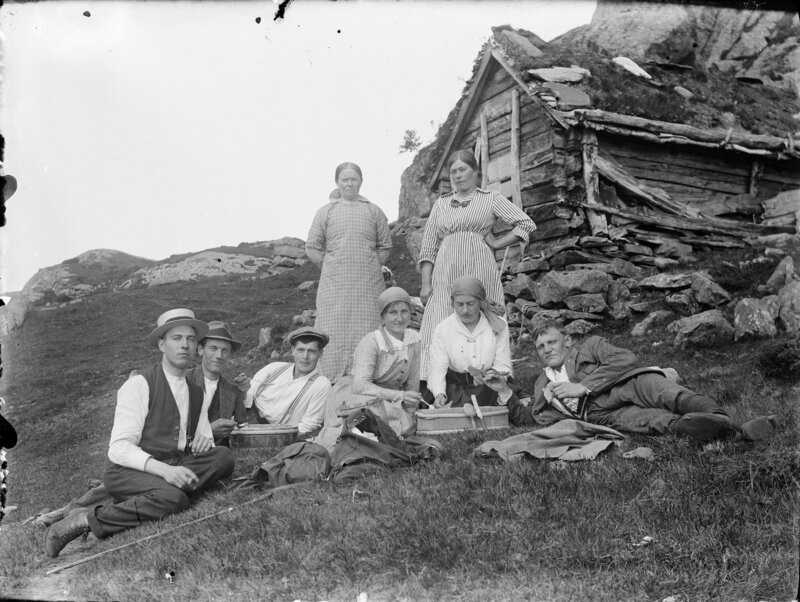 A picnic at a mountain farm. 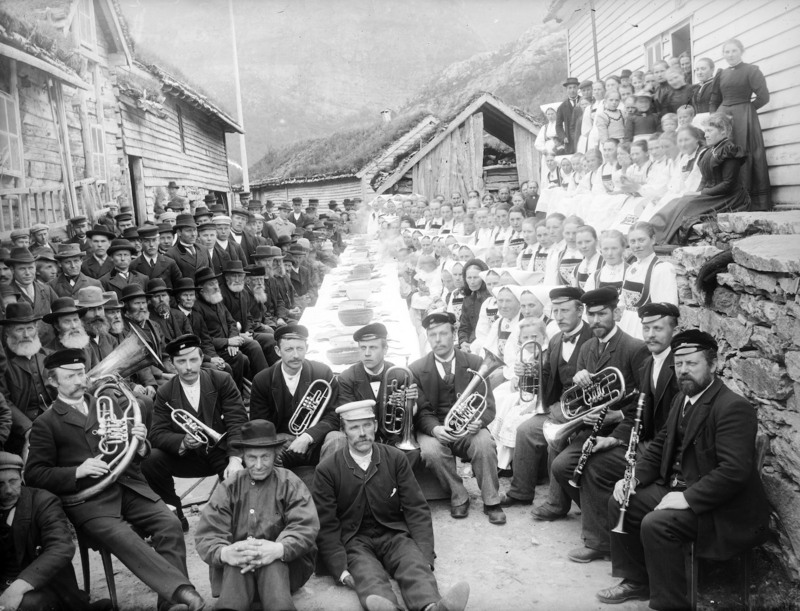 The wedding of Lars Eide and Gjertrud Leite in Sogndal. 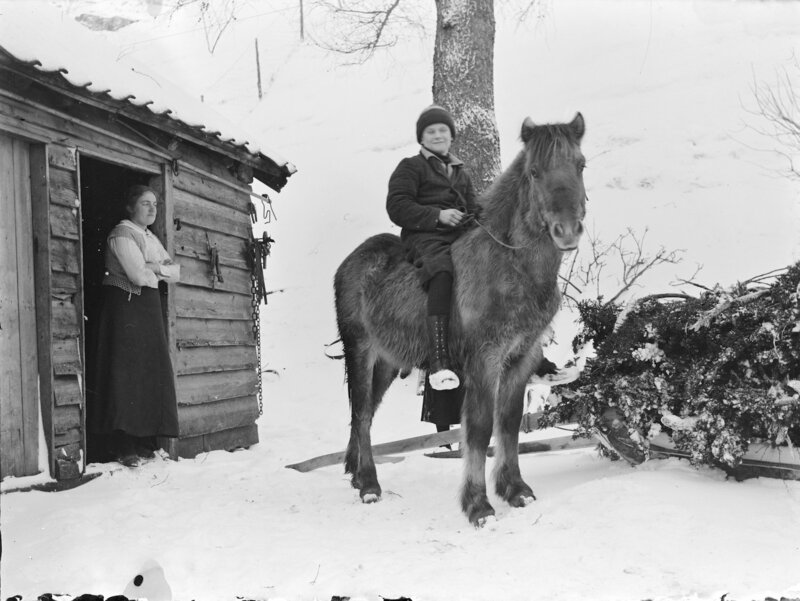 Johannes Torstad at his farm in Sogndalsdalen.